Thousands of vehicles travel daily along I-71 north of downtown, past the brutish, rectangular building near the Ohio State Fairgrounds. 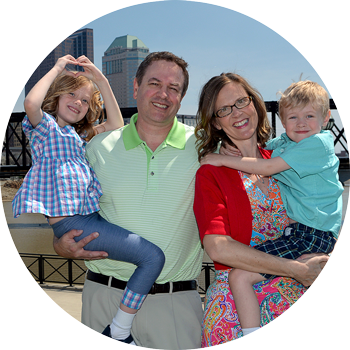 For many years we’ve done the same, occasionally peeking at the statue of a soldier, which peers at us outside the building’s eastern flank, while attempting to dodge the countless semis and other vehicles that flood this busy highway. 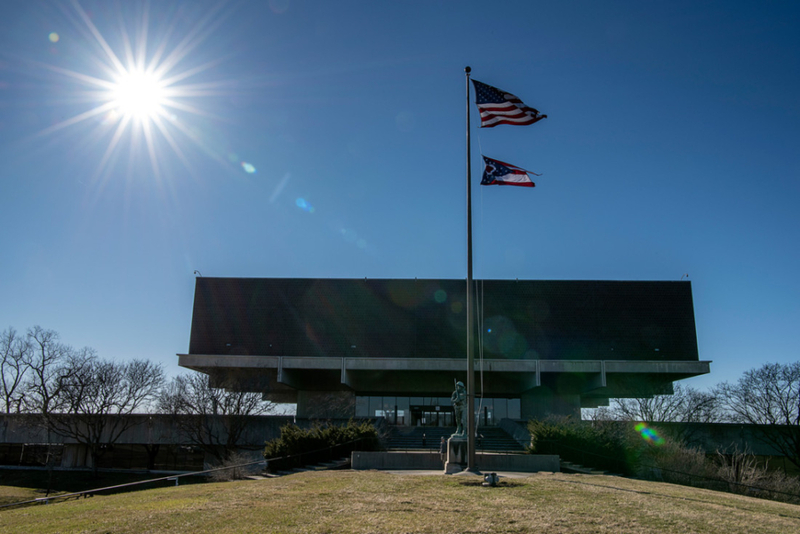 That building, of course, is the Ohio History Center, the heart and soul of the Ohio History Connection, the record keeper of the Buckeye State’s past. 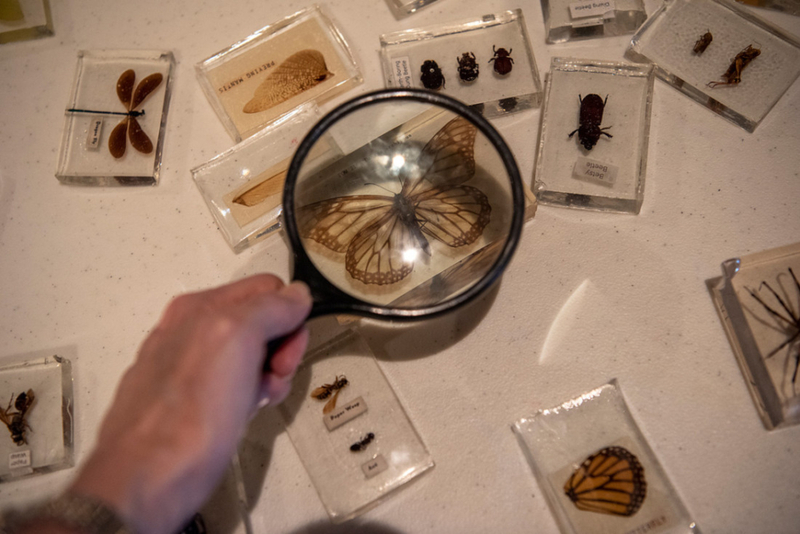 If you take the time to wind off the highway and make your way into the 1970-era building, you’ll find a well-curated trove of Ohio history and other relics of the past. 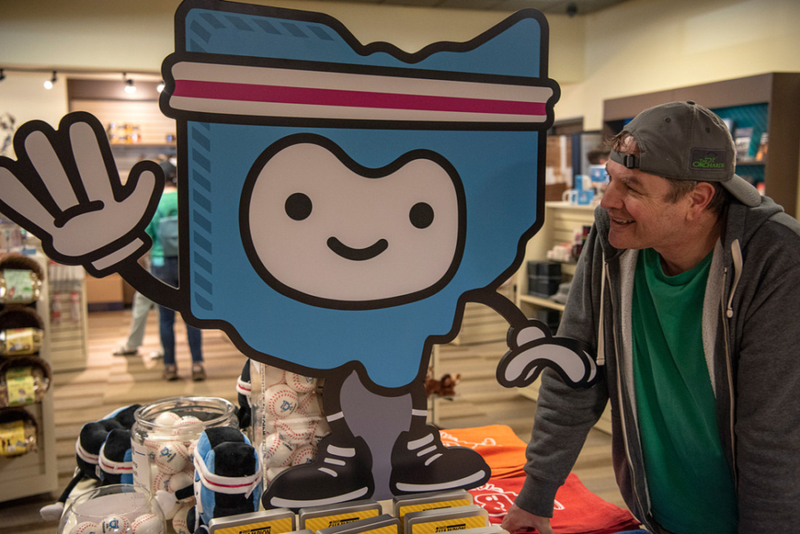 Ohio’s historical reserve contains an impressive collection of historical artifacts as well as rotating displays that make the past come to life. 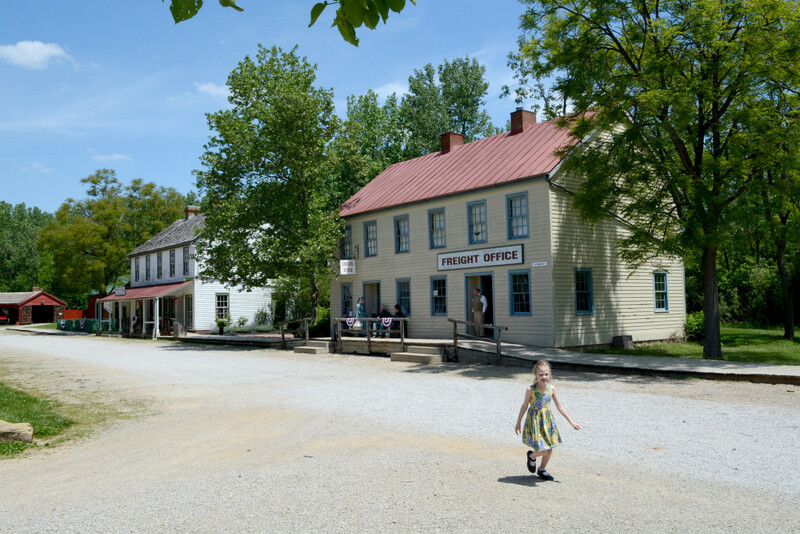 Many people associate the center with Ohio Village, a recreated 19th-century community populated by guides dressed in period clothing. Ohio Village sparkles during the winter holidays with Dickensian-era performers, then closes for the winter and early spring. This year it opens May 25. 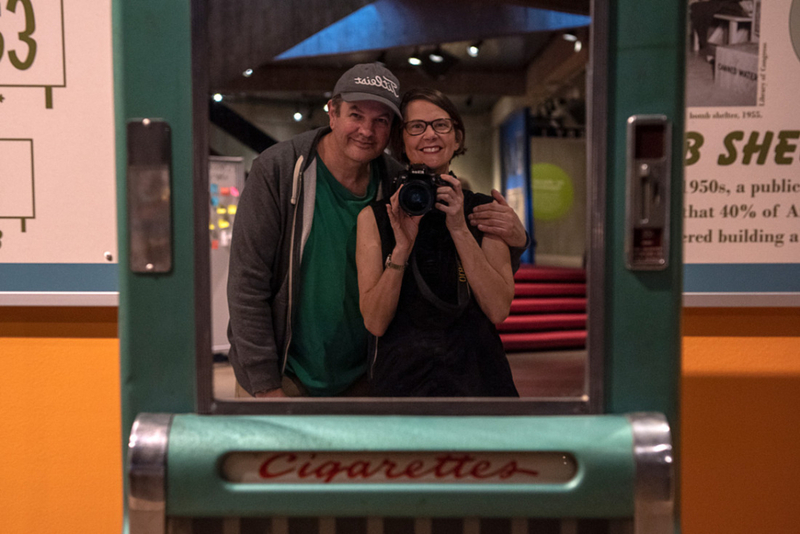 But there are still plenty of things to see and do right now at the history center, which boasts more than 60,000 square feet of exhibit space. 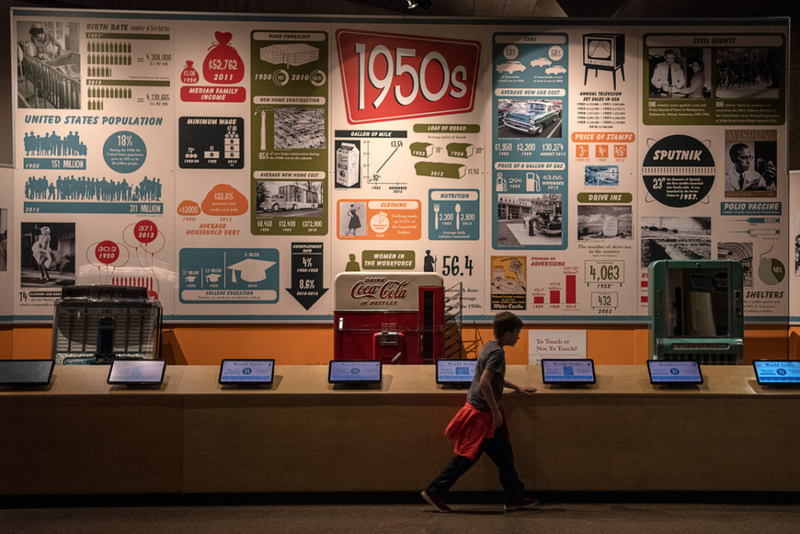 Historical displays are the center’s bread and butter. We enjoyed viewing ancient artifacts and the history of Native American culture, as well as displays that showed Ohio’s endangered species. 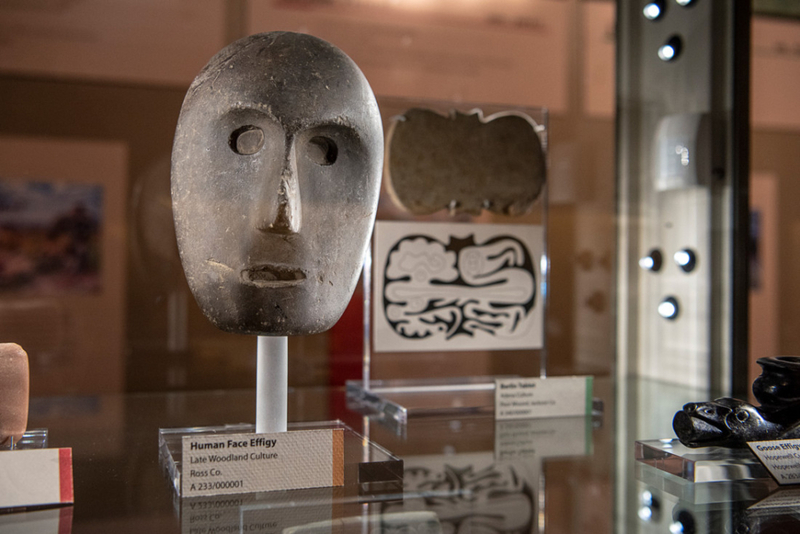 The center often has special guided presentations, such as Medical Marvels and Mishaps, which examines three centuries of medical techniques and tools. 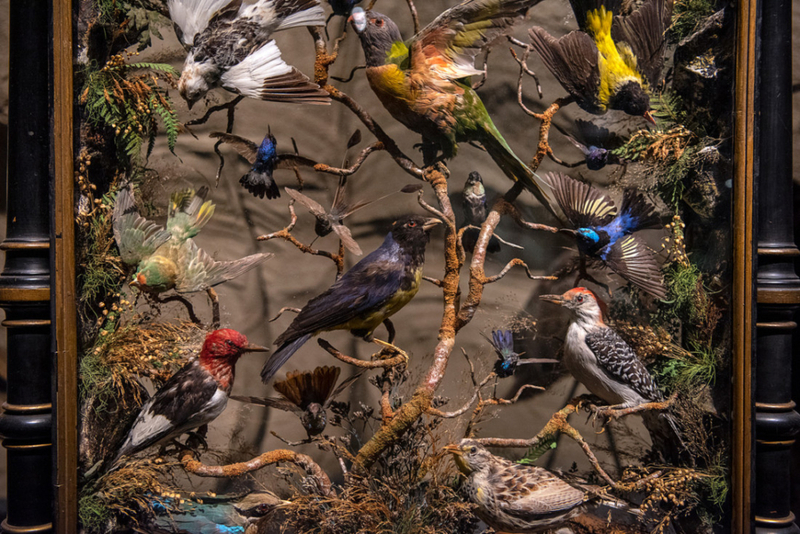 The rotating special exhibits also are worth the trip. 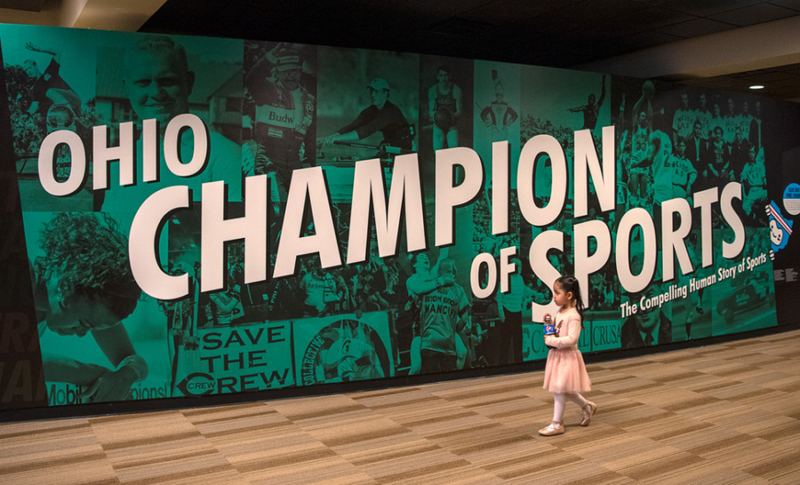 An example is Ohio — Champion of Sports, now on display through September 2020. It’s an interactive look at sporting heroes who hailed from or played a majority of their careers in the Buckeye State. 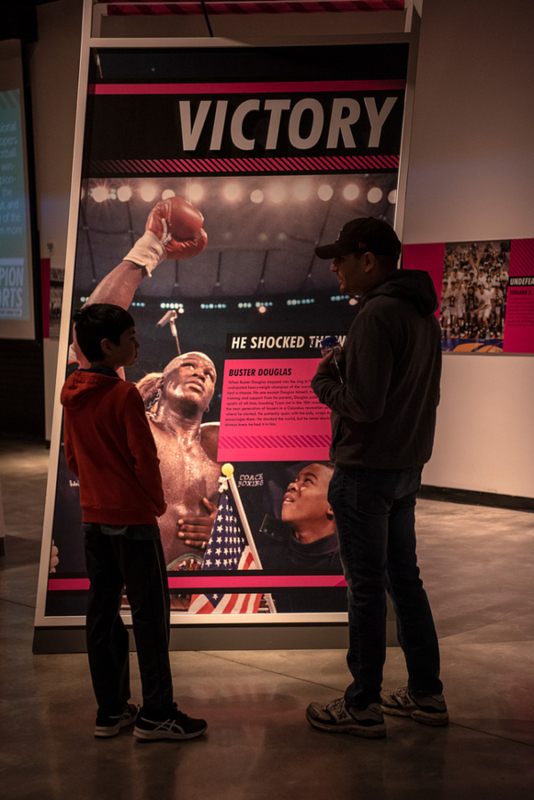 For example, we saw a vivid description of Buster Douglas’ shocking 1990 defeat of Mike Tyson for the world heavyweight boxing championship, told by none other than Buster himself. The displays represent both professional and amateur sports, from a racing suit worn by IndyCar champ Bobby Rahal, to LeBron James’ rookie jersey, to a display that surprisingly identifies the basketball team from Hiram College as the only college in the country to win a team Olympic gold medal, in 1904. 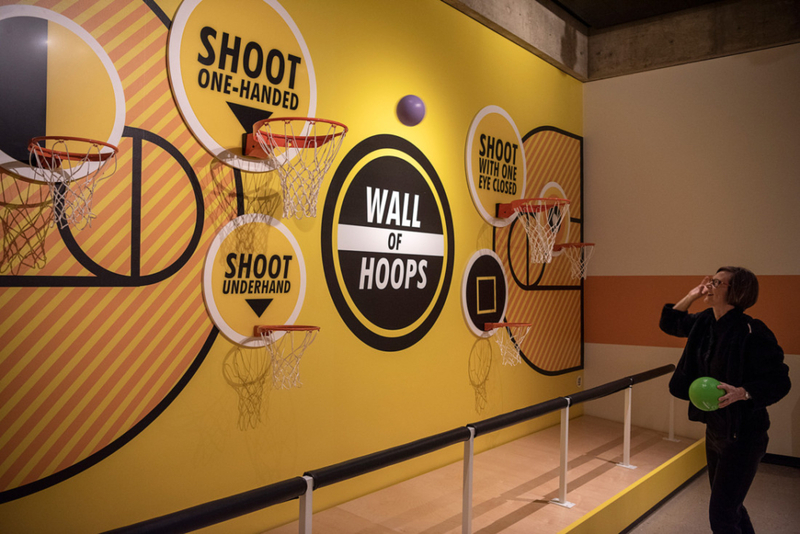 There are several interactive displays, including those that urge patrons to shoot baskets or record their wildest victory dance. The sports exhibit winds through space occupied by the entity’s regular exhibits. 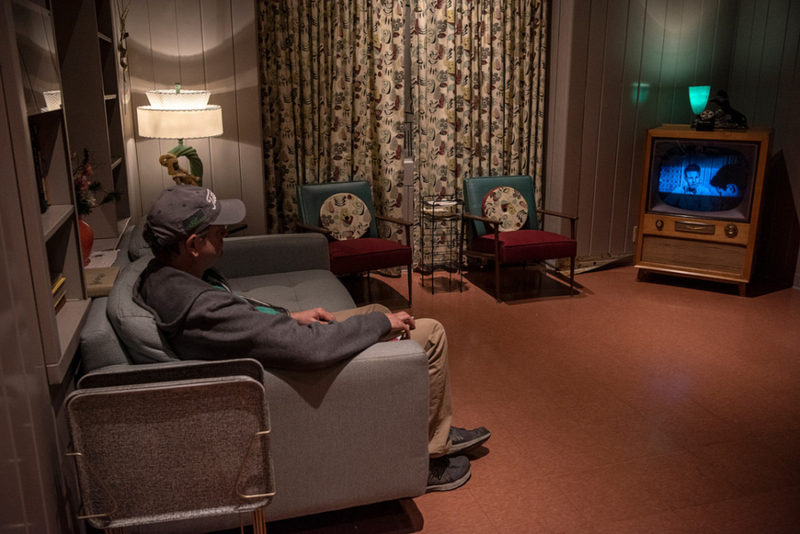 They include the 1950s display, which includes old toys, a bomb shelter hatch, an Airstream trailer hitched to a 1957 Chevrolet Bellaire, and a prefabricated Lustron house which was manufactured in Columbus after World War II. 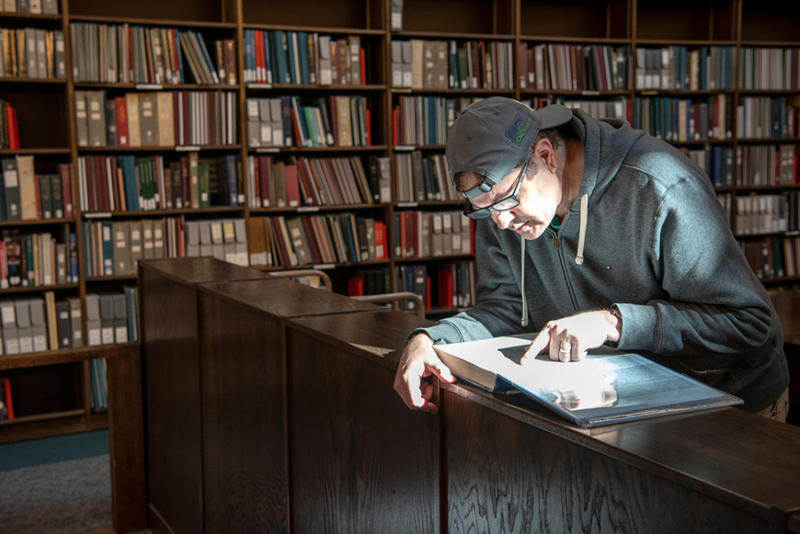 Don’t forget to take the elevator to the third-floor library, which houses a huge collection of books, manuscripts, government records, newspapers, maps and photos. You can even use Geneaology.com for free to look up information on your relatives. The Ohio History Center is located at 800 E. 17th Ave., Columbus. Museum hours are 10 a.m.-5 p.m., Wednesday through Sunday. The library and archives are open 10 a.m.-5 p.m., Wednesday through Saturday. Learn more at ohiohistory.org. 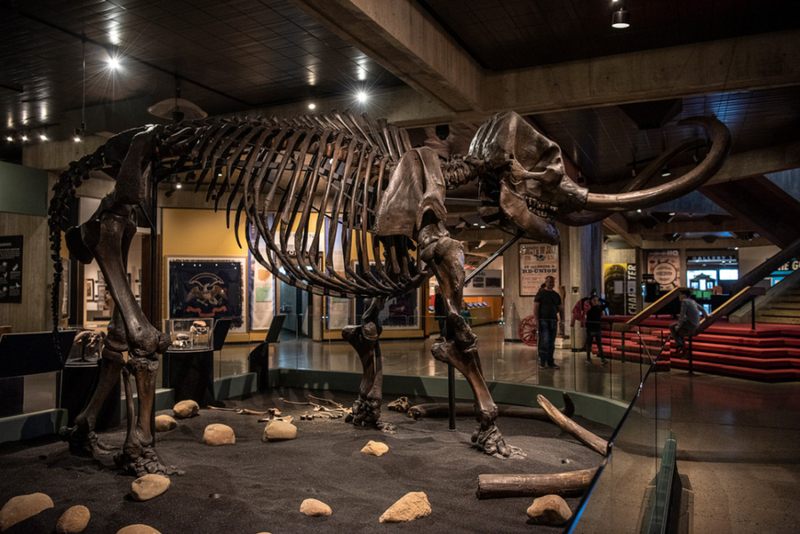 No bones about it, this mastodon skeleton was found in Ohio! 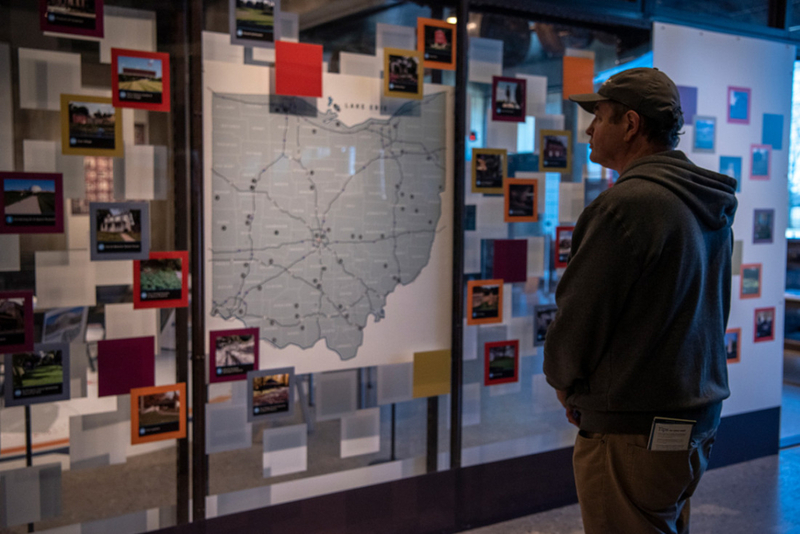 Travel through Ohio’s history, from the frontier days to present. 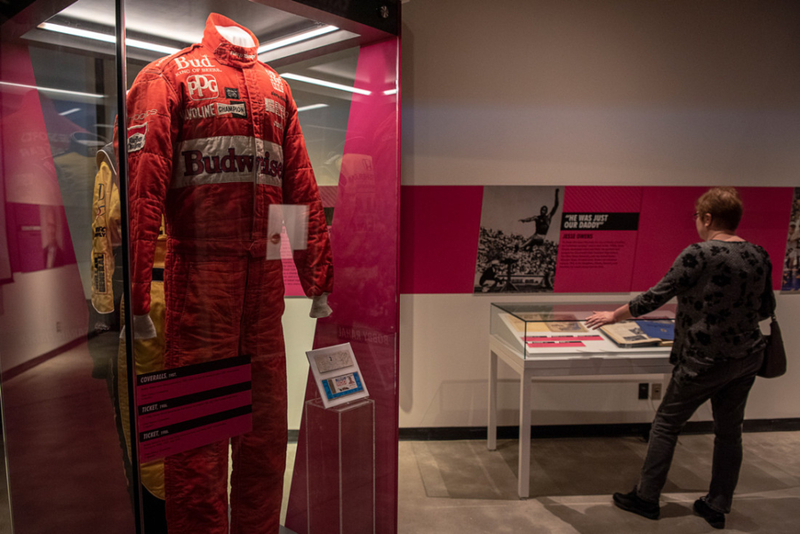 See a racing suit worn by IndyCar champ Bobby Rahal. 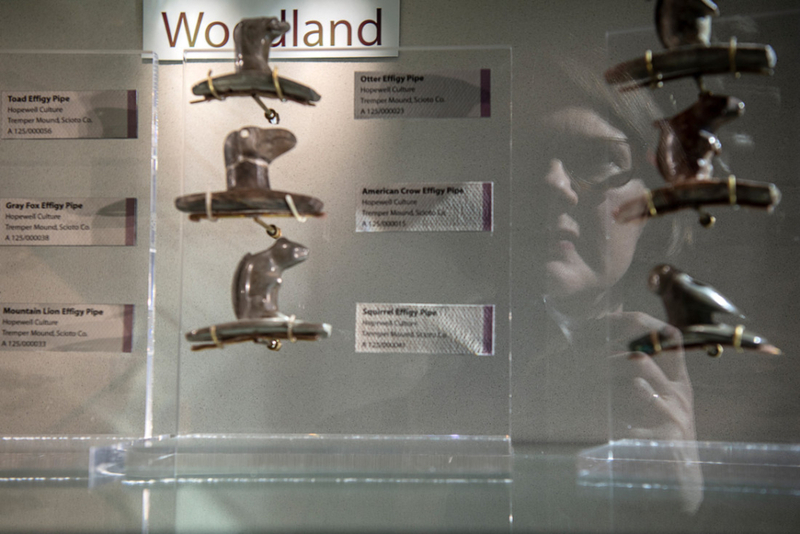 Examine Native American artifacts found in Ohio. 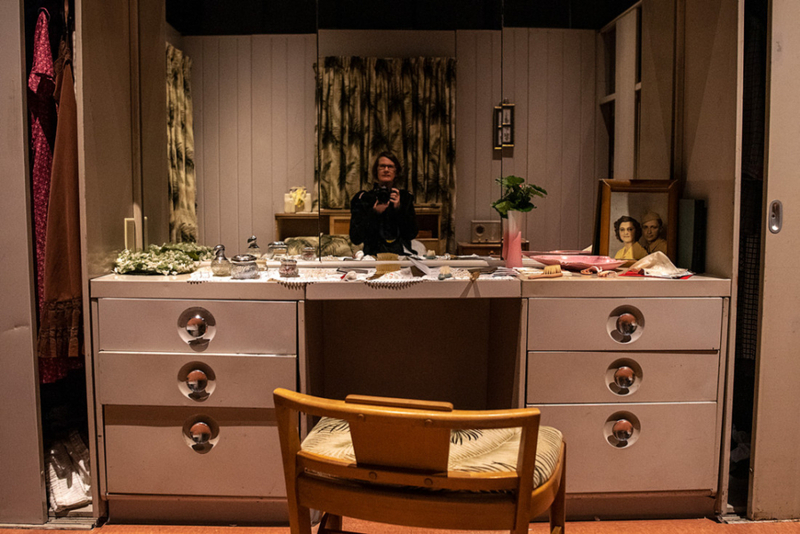 Explore a Lustron house, manufactured in Columbus after World War II. Uncover a collection of books, manuscripts and government records.